IT’S a perfect spring morning in 1982. Arkengarthdale slumbers green and shadowy beneath a blue sky as we sit in damp grass and drink tea from tartan Thermos flasks. Nothing moves except the wind in the heather and the birds in the sky – and a Land-Rover crawling towards us up a track from a nearby farm . . . There are about ten people in our group. Blokes with beards mostly, one or two women and a couple of teenagers, out to enjoy the grandeur of the Pennine countryside and to poke about in the ancient mine workings that pepper the moors. This is my first visit to Arkengarthdale and I’m impressed by its scenery and wealth of history. It’s an enchanting place. We are a group of like-minded people, members of the Cumbria Amenity Trust Mining History Society, with interests that include industrial archaeology, history, caving and potholing, the environment, and recording and photographing the remains of our industrial past for the benefit and enlightenment of generations to come. It’s a pretty worthwhile pastime, if you ask me. The Land-Rover sighs to a halt on the slope above us and out jumps a chap dressed in tweeds along with two or three drab fellows carrying guns. They march towards us. I sense a confrontation looming. This is totally unexpected. And I haven’t finished my tea. I don’t recall the exact words used, because 1982 is a long time in the past, but the chap in the tweeds informs us that the moor belongs to him, it’s private property, we are trespassing on his land, we are disturbing his nesting grouse, and we must depart immediately or the authorities will be summoned. His drab fellows stand behind him with their steely-cold guns over their arms, staring blankly but menacingly. And, I must admit, I’m feeling anxious and more than a little intimidated. I’m one of the youngest of the group, and although I’ve been chased off land before by angry farmers and landowners (the most notable being a gun-toting Sir Leonard Redshaw, former chairman of Vickers Shipbuilding Group, when raiding his conker trees), this confrontation elevates things to a higher level. This is tense and mean; it is unnecessarily threatening. This is the landed interest cracking down with weapons and muscle, cockily confident it has the law and its enforcers on its side, and ruthlessly intent on clearing the unwanted from its domain. 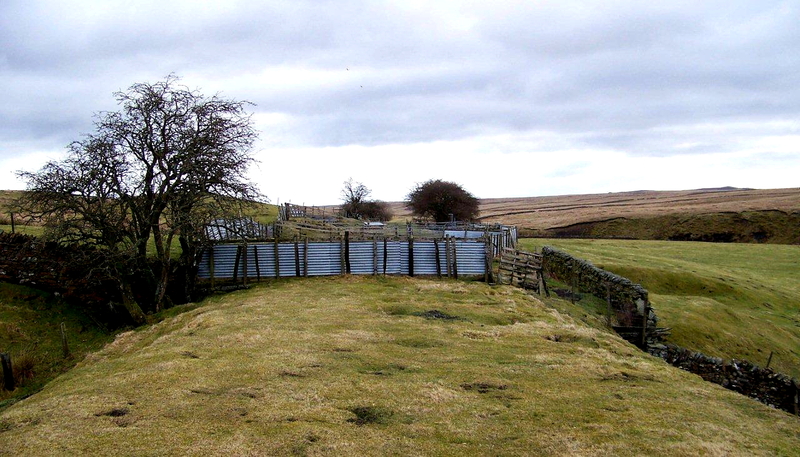 The Arkengarthdale Incident was my introduction to the social, moral, economic and political arguments surrounding land ownership and the exclusion of the British public from their own countryside. It was swiftly followed by the Welsh Incident, in which a farmer chased we same group of people off the side of a mountain he claimed he owned. “How would you like it if I came round to your house and climbed up your drainpipe?” he growled from behind a fence. This wasn’t threatening at all. In fact, we laughed about it all night in the pub, mostly because it was the least plausible argument for restricted access we had ever heard. If we’d been caught climbing up his farmhouse downspout, he might have had a point. But an open fellside? Do us a favour. Is there a need for a sign like this? What possible damage could a walker do if he or she took a course across this land? These memories, and others, have come stomping back because I’ve just read John Bainbridge’s marvellous book The Compleat Trespasser. John has been an ardent trespasser all his life and knows his subject. Being chased by landowners and gamekeepers, and even being shot at and blundering into trip-wire guns (yes, they still exist as deterrents to ne’er-do-wells), are all part of an activity to which he has been devoted since childhood. 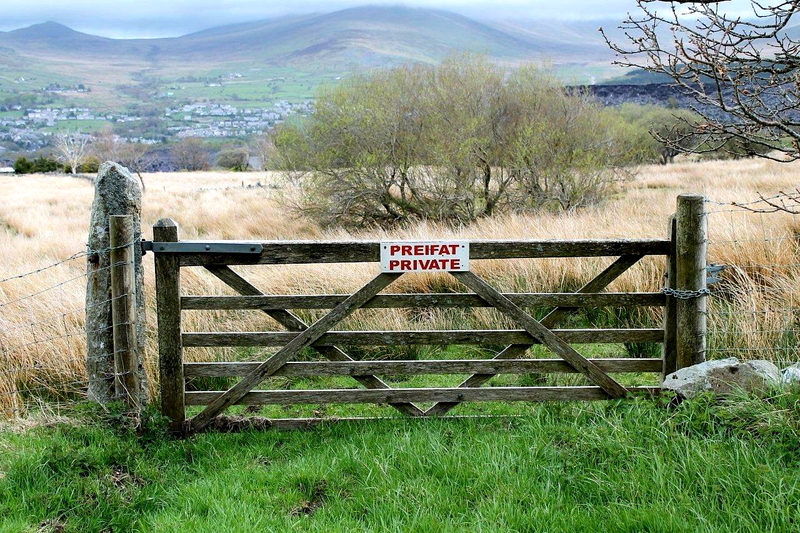 You might be of the opinion that wilful trespass is an immoral and unnecessary indulgence, especially since the Countryside and Rights of Way Act has allowed the public access to vast swathes of upland England and Wales. Is that not enough, for heaven’s sake? But, as John argues, at one time this land was our land and we could walk where the fancy took us. Then we were squeezed out by vast Norman hunting estates and chases; forced from our native dales and villages by successive enclosure acts as the rich extended their grip on the countryside; had our rights to gather food and fuel eroded to the point of non-existence; and were banished from our moors as the 18th Century craze for game-bird shooting spread unhindered. There was a time when we could wander the riverbanks (many of which are still private), the coastline (sections still private), the forests and woodlands (many still private), downlands and heathlands (ditto). 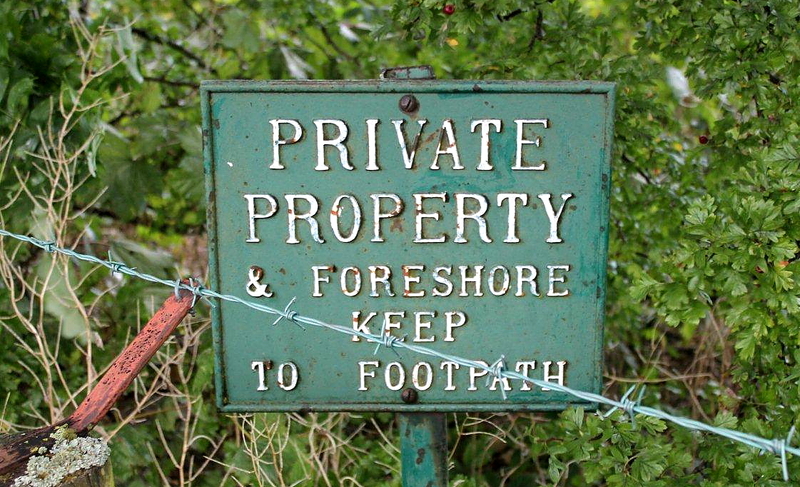 We could ramble across agricultural land, taking care not to damage crops, but this is now exclusively private, access severely restricted to public rights of way. Perhaps you think unlimited access is just too much – we don’t need it. But they have it in Scotland – the forests, the coastline, the riverbanks, the agricultural land (fields under crops excluded). The country whose people suffered the barbaric Highland Clearances – an act of ethnic cleansing if ever there was one – now has one of the most liberal access regimes in the world. So why not England and Wales? How come we’ve been short-changed? 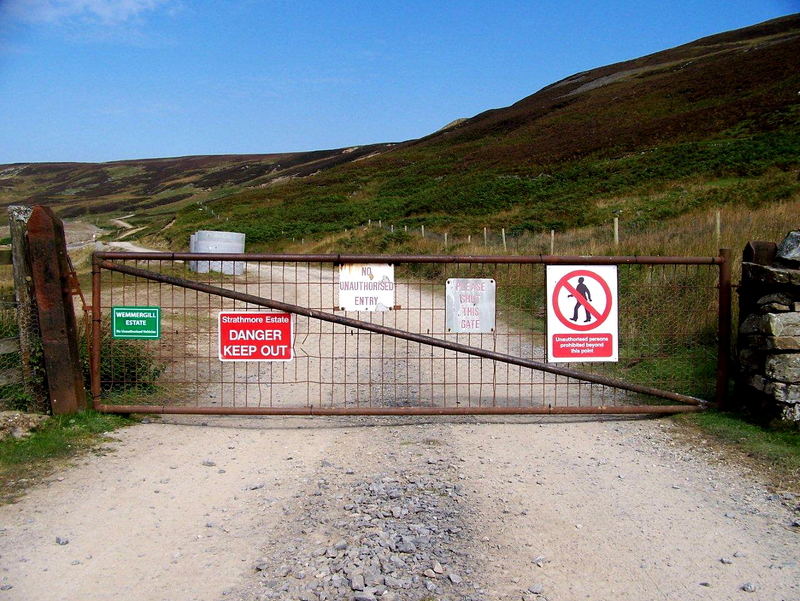 I grew up on the edge of the Lake District and was accustomed to the open access of the national park, so private property and its restrictions weren’t really an issue until I ventured into the Pennine valley of Arkengarthdale on that morning in 1982. 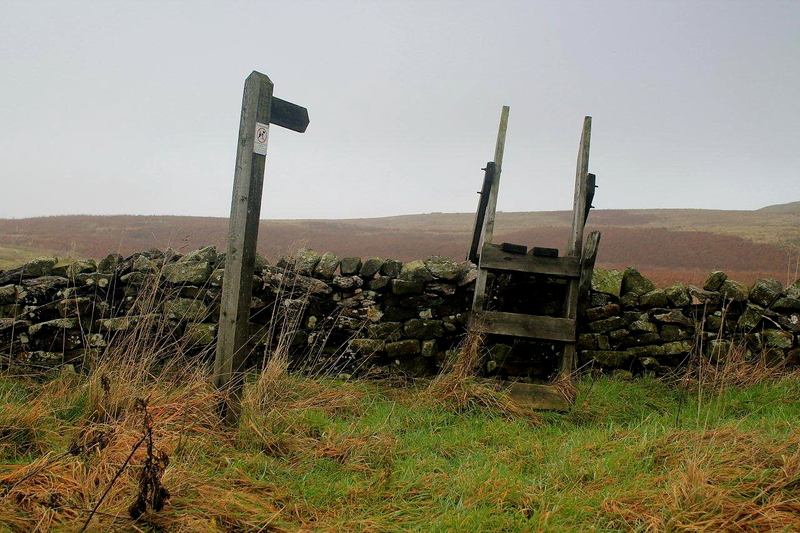 I was aware of the arguments surrounding access, for I had just read Freedom to Roam, Howard Hill’s book chronicling the mass trespasses of the 1930s, but I had never encountered anything more unsettling than the occasional truculent farmer. Arkengarthdale was an eye-opener. It taught me several lessons: that land ownership signifies power and influence; that power and influence command the respect of the law enforcers; and that the rest of us are at the bottom of the pile and it would be convenient for all if we recognised this and kept quiet. Here’s an example of what I mean. You trespass onto someone’s land and the fellow comes after you. He’s carrying a gun. Nothing out of the ordinary there. He’s a landowner or farmer. He is within his rights. If he calls the police they will listen to him sympathetically and try to resolve the issue. But if you, an ordinary person, defended your house and garden while holding a gun (legally licensed), would you be treated with respect by the authorities? Or would you expect to see a police helicopter hovering above your chimney pots and an armed response unit at the end of your street? Exactly. So why is it acceptable, and in some circles desirable, for a landowner to carry a gun while dealing with the public? 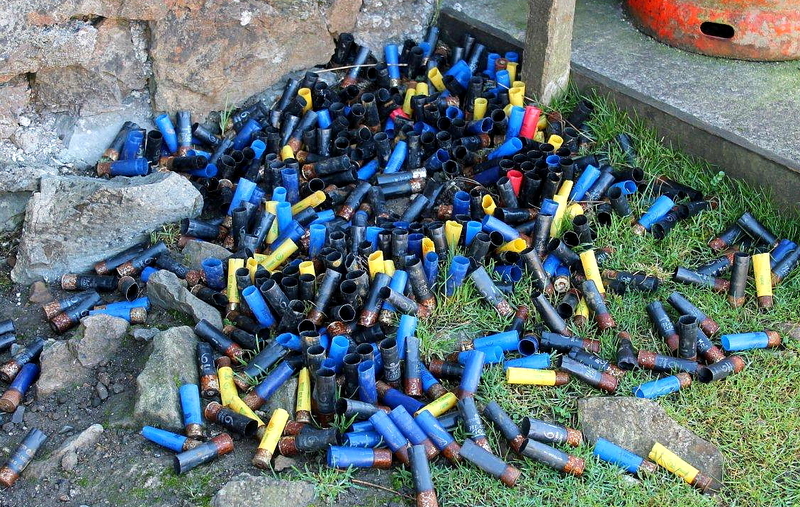 Those buffoons in Arkengarthdale weren’t out shooting grouse or controlling vermin. They didn’t need their guns. Yet they took them along specifically because they were clearing the public from open moorland – and guns deliver a message where words might fail. Those fellows were, quite simply, threatening us with firearms – an act that would get an ordinary person thrown into jail. Here’s something else to think about. As well as the forbidden riverbanks, coastal stretches, woodland and forests, downland and heathland – many of the listed ancient monuments of England and Wales are situated on private land and are therefore out of bounds, says John Bainbridge. 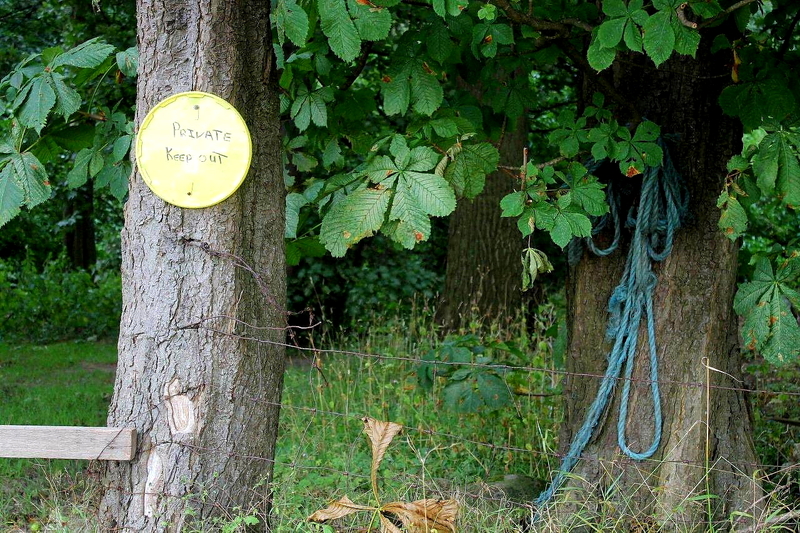 We are denied legal access to our heritage because the Countryside and Rights of Way Act is a half measure. The politicians sold us short. This is our country and we should have a right to wander at will in a responsible manner, he says. And I’m inclined to agree with him. But The Compleat Trespasser is far more than an assault on the issues of land ownership and the exclusion of the public, it is a venture into the romance of walking our forbidden pathways. It follows the footsteps of poachers and tramps, delves into the works of writers, poets and politicians. It meanders through leafy glades, dips into dark pools, climbs ancient tracks to windy ridges. It is a celebration of the countryside and all its charms. 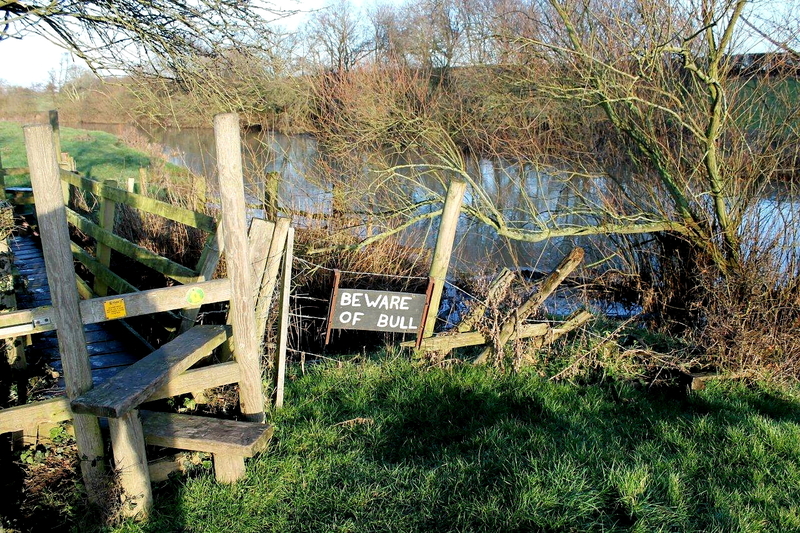 It also deals with the art of trespassing – because an art it is. Not everyone can trespass successfully. There are skills to learn and knowledge to acquire. The adept trespasser is like the poacher of old. He is swift and silent; he can melt into the undergrowth and evade his pursuers. Unlike the poacher, all he seeks is the peacefulness of his native land, which is his by birthright. Arkengarthdale remains one of my favourite places and I have walked its moorland and valley paths many times over the years. Since the introduction of the Countryside and Rights of Way Act, I have encountered several shooting parties and received nothing but courtesy, proof that all interests can exist quite happily in these wild places if the will exists – or is made to exist. Since 1982 I have neither seen nor heard of the tweedy chap who accosted us that day, though we learnt in the CB pub that he was a relatively new landowner to the area and had connections with a North Sea ferry company. There was no need to move us on, and certainly no requirement for chaps with guns – because the overwhelming majority of countryside visitors act responsibly and speak with civil tongues. But that’s the landed and their land. They are still out there with their guns and retainers – a race aloof and apart. Can we forgive them their trespasses against us? I don’t think the time has quite come. 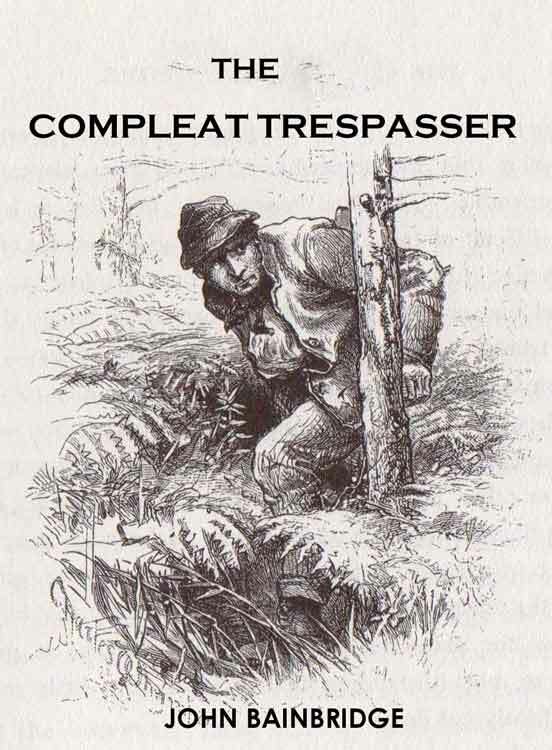 The Compleat Trespasser, by John Bainbridge, can be downloaded here for only £1.99. That’s great value for a great read. This entry was posted in Archaeology, Caving, Climbing, Country Land and Business Association, Countryside and Rights of Way Act 2000, Environment, Footpaths, Highland Clearances, Hiking, History, Hunting, Industrial archaeology, Mountains, Politics, Potholing, Ranting, Rivers, Walking and tagged Cumbria, Lake District, Mining History, outdoors, Pennines, Scotland, Snowdonia, The Lakes, Wales, WPLongform. Bookmark the permalink. 34 Responses to Forgive Them Their Trespasses? Thank you very much for the mention of the book. Much appreciated. And this is a quite wonderful blog on this subject as well. Might I reblog it please? Very best wishes John B.
Hi John. Be my guest, and thanks for a great read. Sorry you’ve got the situation re the D of Norfolk wrong. The Scar House estate was owned by Colonel Wilson way back when and was then bought by Sopwith of Sopwith Camel fame who held it until the mid 70 s when the estate was broken up. After this the house became an hotel for a short time but then house and estate werte bought by the then D of Norfolk as a holiday home for his son the Earl of Arundel who visited frequently with his wife and family. As so often happens as the children grew up they were less interested in leaving their southern haunts and in creasingly the Duke came alone. In a declining rural economy he is one of the main employers in the dale and several people would be unemployed if hegave up the estate. At the same time the estate has to help pay for itself thus the current family and let’s for grouse shooting. As a current owner of a second home in Langthwaite I am very aware of the cost of maintaining a 2 nd home – in fact mine is currently on the market. So tho I haver much sympathy with your general theme it is a good idea to get your facts right before fulminating against individuals!! The duke shows much interest in local affairs and is a benevolent land owner and certainly wouldn’t be seen waving heavy artillery in people’s faces! Sorry but it hard to be told!! Hi Mavis. Thanks for that. I shall amend the text. Another excellent article, many thanks. The late Alan Swann, of Peebles, said you could never be prosecuted for trespass in Scotland if you had offered to pay for any damage in silver. He used to carry around an old sixpence on his forays into the countryside. Alastair, thank you for that jewel of information.These things are always useful to know. Sadly, I get a lot of reports of access being restricted at the duke of Norfolk’s estate at Arundel Park, where – aside from the rights of way – the public used to be able to wander freely on 364 days a year. You need to be careful what you say; the powers of darkness have already succesfully blocked this blog on Sainsbury’s public wi-fi. (It wouldn’t let me access it just now in their cafe. I had to use the Microsoft Bing Translator webpage!) It must be the lack of respect for the landed gentry and calls to insurrection. A European Arrest Warrant is all it needs to drag you back from Spain and then you’ll be sharing a room in the Ecuadorean embassy with Julian Clary or whatever his name is. I’m sure the risks of allowing public access, dogs roaming, fires started etc are far outweighed by the number of responsible walkers who only want to enjoy the views and fresh air. Since right to roam legsilation was introduced I haven’t heard of all night raves or mass gatherings in the Trough of Bowland. It’s dog in a manger greed. I love the Julian Clary line. That really made me laugh. You could probably hear me over there. I think Sainsbury’s have had it in for me ever since I complained about water dripping through the car park roof in the Darlington store and splashing on my car after a pleasant eastern European chap had just washed it for a fiver. Plus, the car park has a height restriction and I can’t get the campervan in. No forward planning. Or perhaps there IS forward planning and people like me are being victimised. Sir Nicholas Soames actually admitted he was wrong a few years ago over his negative stance on the right to roam legislation. He, too, had been expecting the countryside to be invaded by lefties who would leave litter and pick all the blackberries. Alen, probably best to avoid putting ‘I’ and ‘S’ next to each other in capitals at the moment: you’ll probably set off a buzzer deep in the bowels of GCHQ. You’re probably right, Dave. I don’t want a brimstone missile coming down the chimney! I was challenged in much the same way by a very snooty lady. Was I one of those wretched ramblers I was asked… No, I replied, a surveyor. Didn’t she know about the new dual-carriageway that was coming across her fields? How very remiss of the planning department. I think the other point worth noting is that most owners of grouse moors get enormous subsidies from the taxpayer – often the annual size of a decent lottery win – and are required to do very little for the money. I’d be interested to know just how much a year the duke of Norfolk makes? It seems to me that they should therefore be grateful enough to rambling taxpayers etc to allow them to walk freely on the land they are subsidising. If this money was spent elsewhere it might be possible to employ people in the Dales without relying on the patronage of one landowner. Perhaps this is one benefit that should be cut – particularly given that we have people standing in line for food banks and soup kitchens who don’t have the luxury of several estates of many thousands of acres to fall back on? Well said/written! I have to admit that I steer clear of planted arable land where I can and try not to stir up livestock as I have a lot of respect for farmers (the ones around our way and the places I walk aren’t the rich kind of farmer). But I have no respect whatsoever for the huntin’ shootin’ brigade! Hi Carol. Exactly. Fields under crops are no-go areas and livestock should not be disturbed. It’s common sense. I did some walking in the fenlands earlier this year. The dykes and raised trackways down there are crying out to be walked, but very few are actually public rights of way. A whole wealth of beautiful and historical countryside is out of bounds. Hi Alen, There’s no need for that kind of behaviour and I’d like to think it wouldn’t happen today. Most landowners I’ve met are the kind that think they are just custodians, not owners, of the land, and that it’s a privilege to allow others to enjoy it. 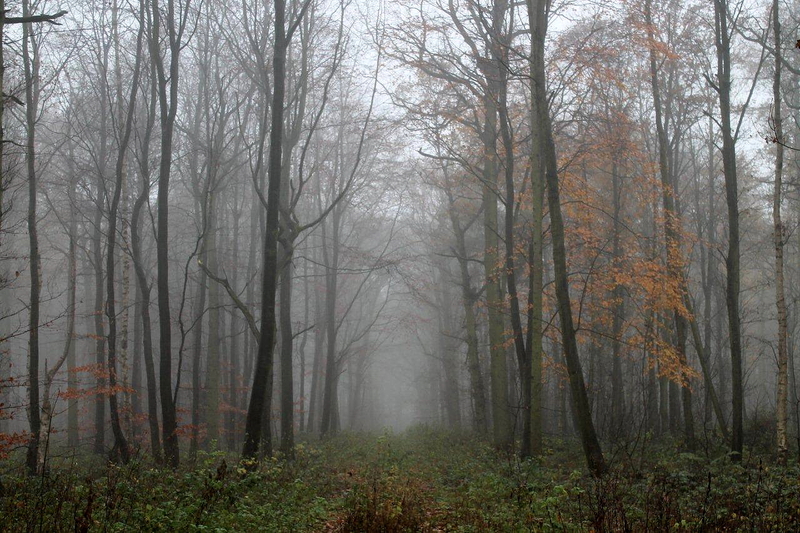 I love that photo of the misty woodland in autumn/winter. Just trying to remember what we were up to in 1982 – I don’t think I’d even set foot in Scotland at that time. Hi Jo. I expect you were still at nursery school in 1982. It was a long time ago. The misty woodland picture was taken about a mile from our old house in Barton, along a back-road to Croft, on the North Yorkshire/County Durham border. Autumn is a wonderful time of year for walking in that type of countryside. How right you are, Alen, (ahem). I’m looking forward to the autumn, as our summer was a bit of a non-event! Some nice misty mornings here already and the trees are turning. A half measure it might be, but it was still one of the finest days of my life to walk across the moors of the Forest of Bowland on the first day the Countryside and Rights of Way Act became law. I was working for the Ramblers Association then, so I had a vested interest. Still, it was pure pleasure to go on a stroll with the local rep of the CLA, the Duke of Westminster’s land agent and three women in their 80s, ramblers from Manchester, who’d never been able to walk on the land. Less pleasant was the journalist from the Telegraph who accompanied us – he really was hoping for the End of Days as we set off across the moor. The situation remains appalling in too many parts of the country, and as you right rightly say Alen, the double standard for landowners and everyone else is staggering. Have you read Who Owns Britain and Ireland? it was a real eye opener for me. Hope you’ve settled in to your new home? Hi Paul. Sounds like you were at the sharp end of it all. 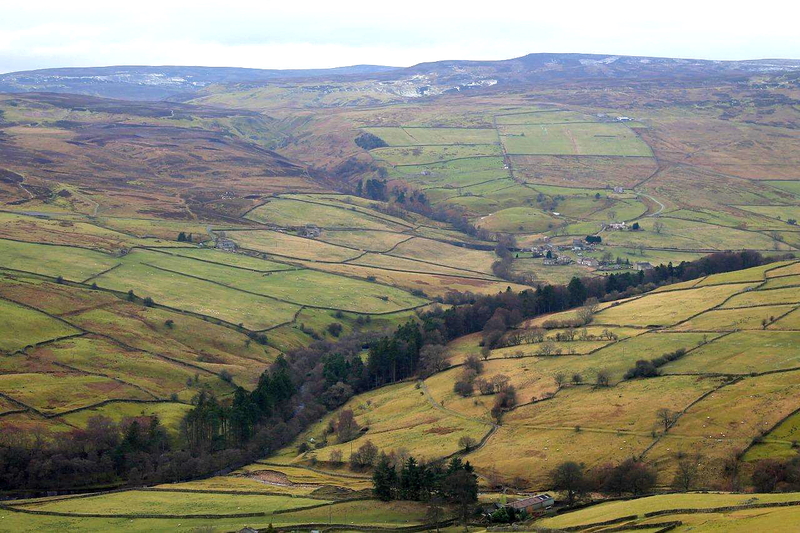 Coincidentally, we were talking only last night about the Forest of Bowland and how beautiful that area is. One day, perhaps, I’ll get to know the area better. I’ve been there only once – thankfully without a journalist from the Telegraph. We are in the process of buying a house at the moment and it’s an absolute nightmare. Other than that, we appear to be settling in fine. Thanks for asking. Engelsk er ikke min spidskompetence i øjeblikket. Måske går det bedre med mit modersmål. Jeg håber ikke, der er danske læsere til dette indlæg! Det er et udtryk for magtdemonstration og intet andet, som jeg læser dit indlæg. Engang købte vi hus på landet, og blev godt modtaget af lokalbefolkningen. En dag var vi på tur i nærområdet. Idet vi går ned ad en grusvej, der fører videre ned til et lille skovområde, kommer to mænd gående imod os med geværer over arm. Da de er ud for os, nikker de, og vi forventer en hyggelig konversation. Men ak nej! Kender vi hinanden, spørger de. Jeg fornægter ikke: Vi måber. Den introduktion til en samtale er ganske ny for os begge to. Vi forklarer, at vi netop har købt hus, og nyder omgivelserne. De forklarer overbærende, at de ikke ønsker parasoller og ghettoblastere, der kan opskræmme deres fasaner. Det gjorde et uudsletteligt indtryk på os, og jeg forstår din indignation. You got a point there, Alen. Guns up against ghettoblasters, haha. These access rights refers to rights for all to use nature, regardless of who owns the land. This low has worked for many years but gradually, the law transparency is impeded. There are places where the law is trumped by newly introduced local laws and suddenly you are without a compass. Hi Hanna. That’s very interesting. How different countries deal with access is something that has always attracted my attention. And as I have nothing else to do at the moment, I shall take a look at what’s going on in Norway. Ive often strayed from the R.O.W. in my pursuit of hidden waterfalls. I’m working on the assumption that if confronted a “sorry I got a bit lost” from a sixty year old solo walker ought to suffice. Failing that an assortment of blue language and a “so sue me” would be my response. Hi Colin. Yes, it always pays to be polite in the first instance. I’ve also found that in the rare instances you have to argue the toss, things usually turn out well. Worth also seeking out Howard Hill’s book “The Freedom to Roam”. A bit out of date now but very good on the historical background. It inspired my own “The Compleat Trespasser”. I read Howard Hill’s book many years ago, just after it was published. In fact, I’ve still got it somewhere. Must dig it out and dust it off. Very interesting piece. 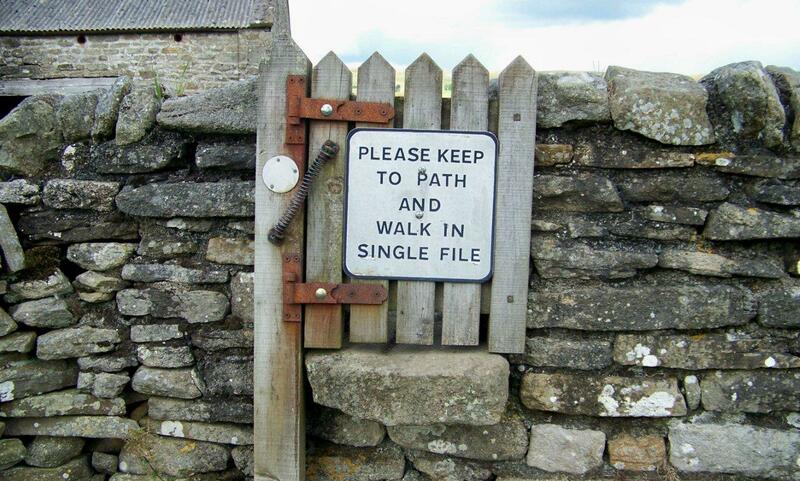 Sadly in England you can sometimes even be given a hard time even by sticking to public rights of way. The south of England can be particularly bad for stuffy, self-important, authoritarian, landowners. For instance in 1995 I was given a hard time for “acting suspiciously” by walking a certain distance along a right-of-way near Minsted, West Sussex and then turning round. More recently in 2011 some landowner in Whiteparish, Wilts gave me a hard time for resting on a small hill overlooking their house (and a rather nice view). The well-off in England sadly seem to have attitudes which are stuck in the feudal system – it’s time we became a more liberal and less stuck-up country. Hi Nick. Yes, I’ve had experiences like those – being questioned and asked my business when on a right of way. Once, when walking the Dales Way long-distance footpath near Kendal, my friend and I were energetically shouted at by a woman when we crossed her land (while religiously sticking to the path). This, in turn, brings up the problem of the blocked footpaths and the ones ploughed out of existence every year. 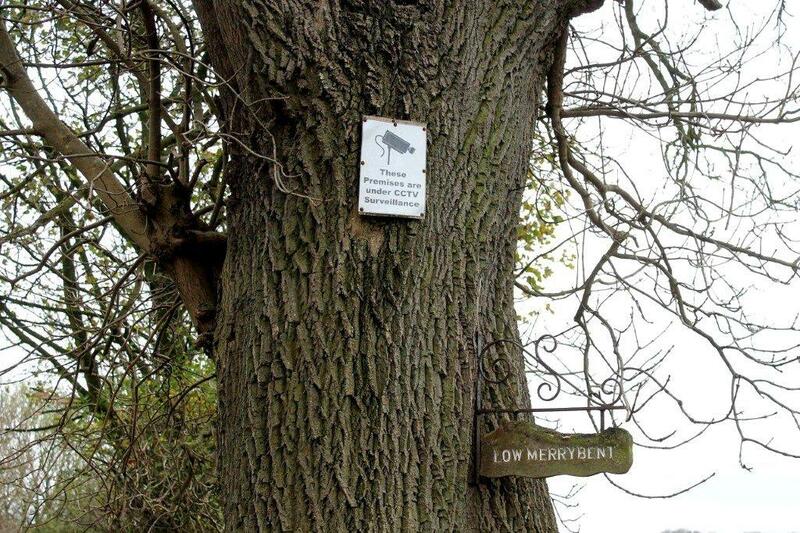 This latter point is particularly prevalent in North Yorkshire.